A well produced solid debut. The debut CD from young British fourpiece Albany Down has been on constant rotation since I received it. It was initially a nice contrast to the plethora of new AOR releases or my usual heavier edged listening preferences but after 5 or 6 spins it has found its way to the top of my grab pile whenever I'm in the car or just cooking dinner in the kitchen (and perfect accompaniment to a nice Shiraz). The band's blog hints at the likes of Free, Zeppelin, Hendrix and The Stones and while I can see where these references are coming from my first thoughts were of a modern day Thunder with a retro edge. All the songs, bar one, are band compositions and it's clear they have a strong ear for melody coupled with the ability to create instant song structures. 'Dirty' sets out a pretty good stall and Paul Muir's soulful vocals blend excellently with guitarist Paul Turley's infectious riffs and imaginative solos. If I have a criticism at all it's that a few songs in the first half of the set are rather generic and formulaic. 'The Morning After', 'Outside Your Window' and 'The Train Song' don't do anything for me in terms of style though the performances still stop me reaching for the skip button. Two tracks that do stand out are the cover of Duffy's 'Mercy' and the title track. 'Mercy' has a superb new arrangement highlighting some emotional vocals and touching guitar work. Slowing the tempo down gives the song an attraction it never had before and I'm guessing it would be an atmospheric workout in the live environment. 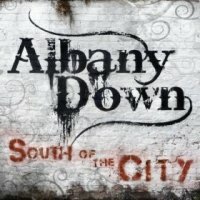 'South Of The City' is something of a mini epic and though the subject matter is rather dark it is a classic piece of blues rock that I think would have benefited from a longer guitar solo. The second half of the CD is well balanced and has quality in depth. 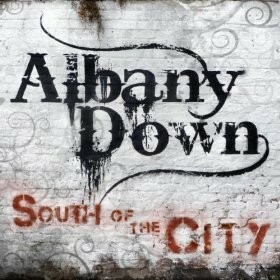 'Save Me' contains some more nice guitar and I love the tone that Turley manages to achieve throughout the whole album. 'Jealousy' and 'Wasted' are good uptempo numbers but Keith Richards has listened to 'Baby Where'd You Stay Last Night' and wants his riff back! 'Without You' brings things to a close and the use of strings is a variation that enhances an already memorable ballad. Though I think the album would have been a little stronger with the removal of a couple of filler tracks, on the whole it is a well produced solid debut and bodes well for a promising future.